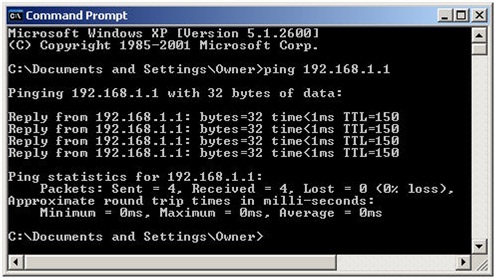 • Test connectivity using the ping command. This lab focuses on the ability to connect two PCs to create a simple peer-to-peer Ethernet LAN between two workstations. The workstations will be directly connected to each other without using a hub or switch. In addition to the Layer 1 physical and Layer 2 data link connections, the computers must also be configured with the correct IP network settings, which is Layer 3, so that they can communicate. A basic Category 5/5e UTP crossover cable is all that is needed. 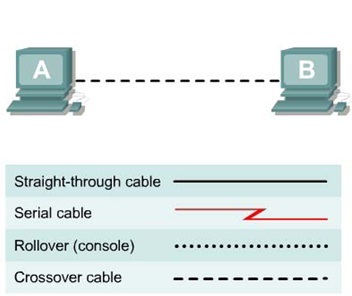 A crossover cable is the same type that would be used as backbone or vertical cabling to connect switches together. a. The connection between the two PCs will be accomplished using a Category 5 or 5e crossover cable. Locate a cable that is long enough to reach from one PC to the other, and attach one end to the NIC in each of the PCs. Be sure to examine the cable ends carefully and select only a crossover cable. a. Plug in and turn on the computers. To verify the computer connections, insure that the link lights on both NICs are lit. Are both link lights lit? They should be otherwise troubleshoot. • Click on Start > Settings > Control Panel and then open the Network and Dial-up Connections folder. • Click ad open the Local Area Connection icon. a. 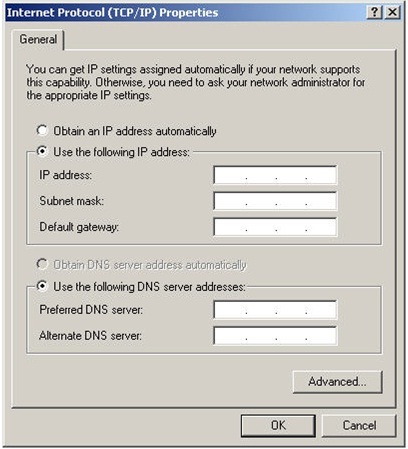 Test connectivity from one PC to the other by pinging the IP address of the opposite computer. Use the following command at the command prompt. b. Look for results similar to those shown below. If not, check the PC connections and TCP/IP settings for both PCs. What was the ping result?